In case you didn’t know already…I love shadow sticks! Tarte makes some of my favorite shades in my stash so for the holidays when I found out that they made a limited edition set I had to check them out. Shadow sticks make doing your eyes easy and quick so I have some from every brand. I hoard/covet/collect them. I think Tarte has some of the best shades out there so a set of five for $30 was a serious deal that can’t be ignored. 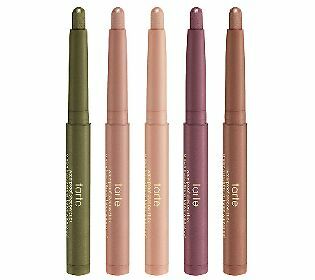 I always use eye primer but most people can use Tarte shadow sticks without it. I know of three friends that don’t need primer with these but do with every other brand. Now the bad news. When a set like this goes up for grabs it goes quick. 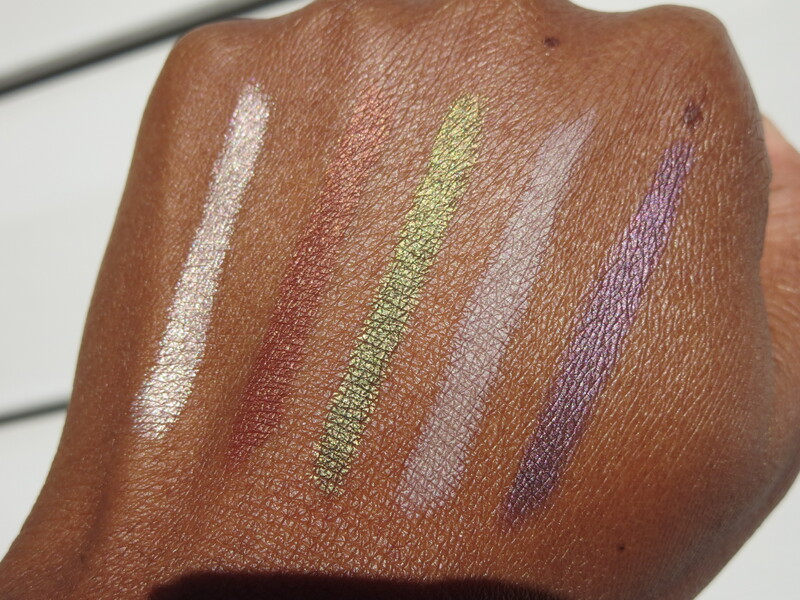 Tarte has serious shadow stick fans! They don’t play. Because of that I had to join the wait list for this set. It came thank goodness but only for a limited time you can join the wait list also (Item: A237939) and get this. It’s worth it because of the savings IMO so take a look at the swatches and consider jumping on this! 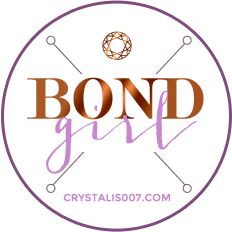 If you’d like to see the video presentation use the item number I gave you above on the QVC website and scroll down below the pictures to view it. 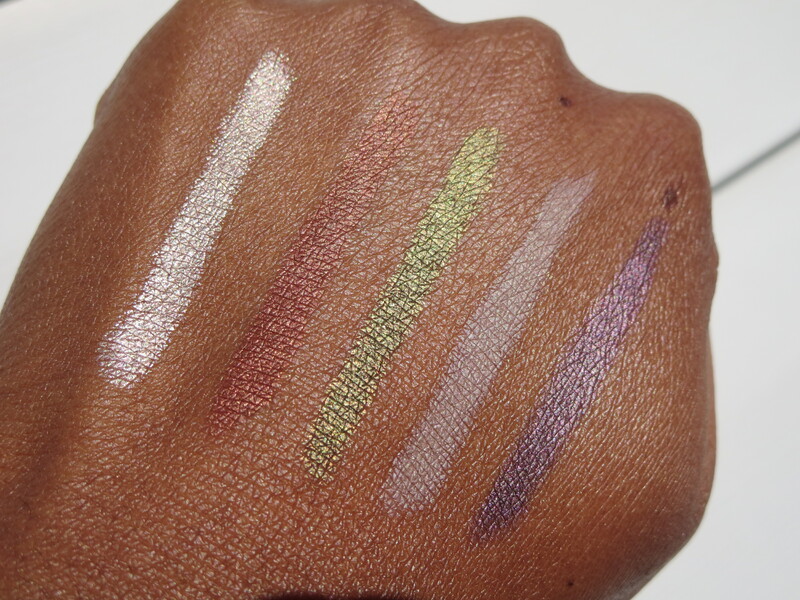 Once you see the different looks they create with these pretty shadows you might find yourself ordering this asap! What is it: A set of five dazzling cream shadow wands. Who is it for: Anyone who wants sparkling eyes this holiday season. Why is it different: Each wand is infused with vitamin E and mineral pigments to soften and glide onto eyelids without tugging or pulling. Each gorgeous shade provides endless looks for any occasion! 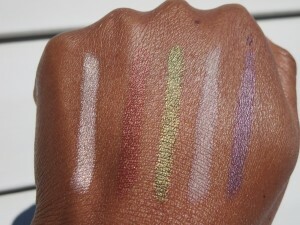 How do I use it: Apply wand directly to your lid, and smudge with your fingertip up to your crease. For a more dramatic look, apply more than one shade, or use on the lower lash line. THIS STUFF DOES NOT BUDGE. IT’S THE ONLY THING I CAN WEAR ON MY WATERLINE THAT STAYS PUT, AND TRUST ME, I’VE TRIED EVERYTHING! !